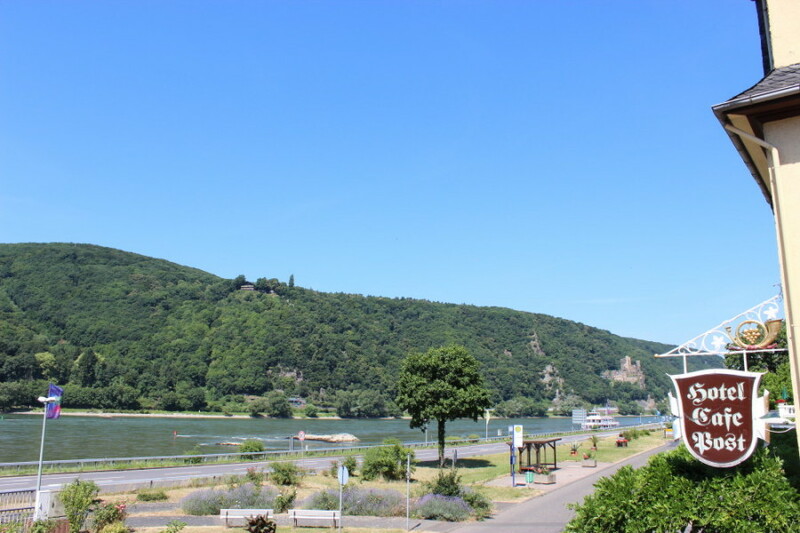 Directly on the banks of the Rhine in the Lorelei Valley, on the highway B 42. One of the most romantic parts of the Middle Rhine, between the vineyards of the famous Assmannshaeuser Hoellenberg. 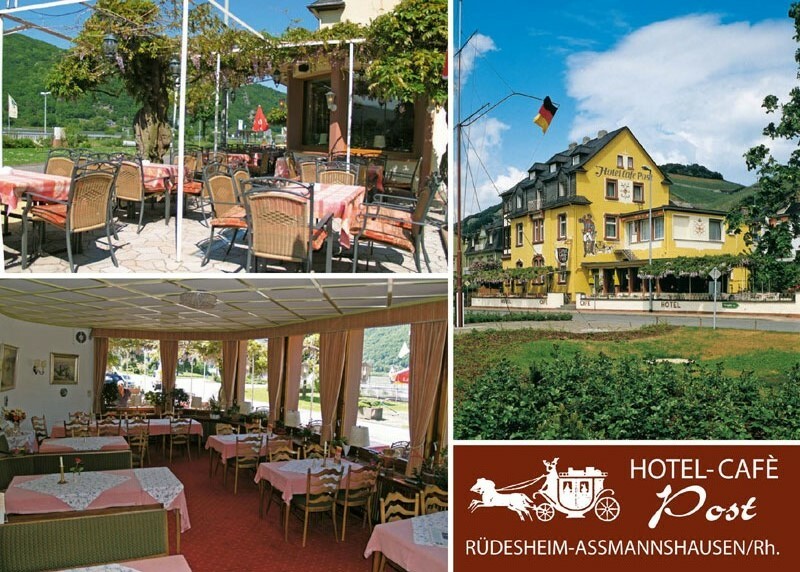 Comfortable cafe and restaurant, open air terrace, wonderful view of the banks of the Rhine and the Castle Rheinstein. Well known for our catering, products from our own confectioner. Arrangements for groups and clubs. Ruedesheim-Assmannshausen in the Lorelei Valley, on the B 42. One of the most romantic parts of the Middle Rhine, this little town nestles between the vineyards of the famous Assmannshaeuser Hoellenberg, where the grapes for the world famous Pinot Noir. 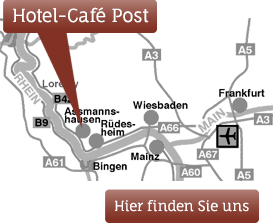 Hotel-Cafe Post is directly on the banks of the Rhine – an ideal spot for a short holiday, a long weekend, or a relaxing longer stay. Arrangements for groups and clubs can be made on request.